A few months back we sent out a survey to users, most of which asked for a community element be added to the website. A place for the more serious traders. There’s plenty of places to chat, be it social media, private groups and software forums to name a few. But as yet there hasn’t been a central place, focused on trading alone. Somewhere to share a little more! First and foremost: What is our Betfair trading community all about? What’s inside? Around a month ago we opened up the first community forum version up to a 10-20 users – mainly for testing purposes. More about who was invited in initially in second, the first task was to get everything functioning as smooth as possible, with a little light chatter amongst users. Thankfully, there wasn’t as many problems as anticipated. From there it’s already evolved into a serious but social place, with a few consistent winners. to create a unique support network where serious traders can chat, discuss and share thoughts on current sporting events and markets. This may not be to some readers liking but we’ve added the community forum as an extra. It’s to be a relatively serious place where people can discuss their trading, and current market activity – not somewhere to abuse others and complain. We’re making no secret of it; we have very few rules, but access will be revoked for anyone that abuses others. 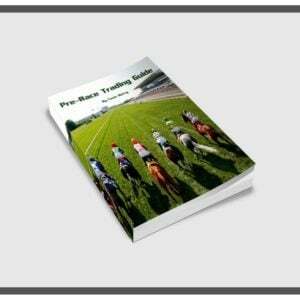 There are a couple of daily threads around horse racing trading both pre-race and in-play. A daily back to lay shortlist (similar to those posted on social media in the past) and one for highlighting early market activity. Over time I’ve no doubt there will be more. We’ve put it off for a while, but we realise any Betfair trading community is only as good as it’s members! After all, we’re there to trade – not gamble. Even though I’ve got a strong bias towards racing, it doesn’t mean traders of others sports aren’t welcome too. It just means I’m unlikely to engage heavily in the footie debate, it’s not my bread and butter (even if some things do carry over). 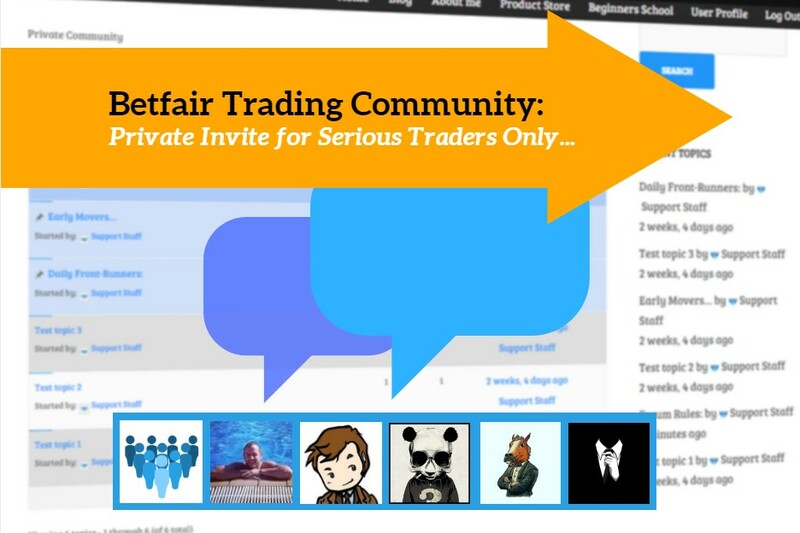 If you’re interested, there’s a couple of ways to access the Betfair trading community – depending on your position. 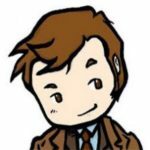 Some users have already been granted with a forum account. You just need to hit up the link below, but be sure to check your profile before posting. You may want to change your username to something other than your personal details. To change your forum details please visit your user profile, accessible via a link above the forums. If you aren’t on the list, but you are a premium payer and would like access – please email the support inbox and we’ll get back to you asap. In all honesty, the forum is really simple to use. Sorted in recently replied order you’ve got the functions available on any other community forum. We’ve kept the look clean on purpose, making it easier to understand and navigate. Apart from the standard reply functions, you have three main buttons at the top of each page. New Thread – speaks for itself. Before you submit a new thread, please use the forum search function to avoid creating duplicate threads. Subscribe – clicking this will enrol you for email notifications (associated with your account) for the forum or topic you are currently on. Profile – explained further in a second, this will take you to a forum account specific page where you can update various fields. Easy to use but effective. Anything else you may be interested in will be on the forum side-bar. Personal profiles are easy to update in our Betfair trading community, as per the image below you just need to click Edit (1). Followed by altering your personal information on the right. 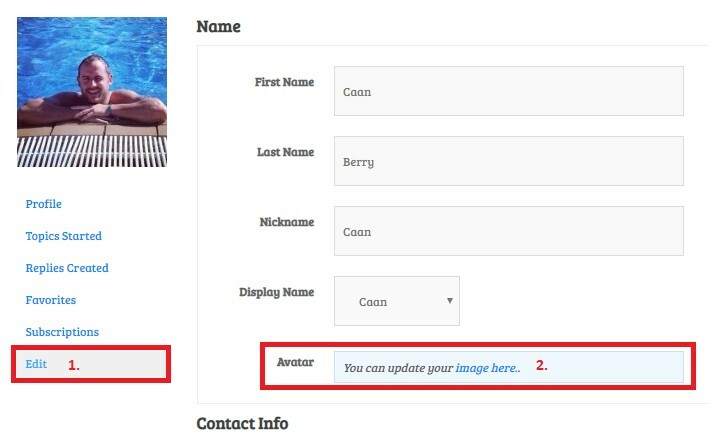 Instructions on how to change your forum avatar are via the link highlighted image here (2). Having this flexibility offers a slightly personal touch, be sure to update yours! As I said, there’s a handful of forum topics already. One of the more popular ones being on weekend activity. It’s refreshing to talk to those who have some genuine motivation for understanding the markets – rather than expecting some mythical formula. Last Saturday a handful of selections were pinned up early with users watching them over the morning and contributing. Most of which moved in the direction expected. Notably one went all the way from 10’s into 4.5. Hopefully there’s more trading-specific talk like this to come. Win or lose it’s good to see other trading community insights. Is there a subscription cost to join this community? No, the community is a free. However, being a private community you will need to be a video pack user or premium payer; we’ve taken this decision to keep the forum the most professional place possible. Is this Betfair trading community open to all sports? Yes, Caan has a preference towards racing and tennis although talk of all sports is welcome. As you may have seen above, there are also some very successful football traders amongst our ranks. 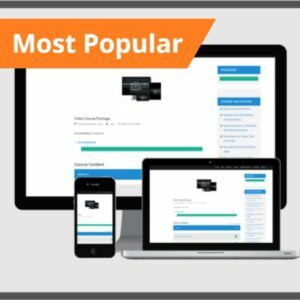 What makes this forum different to other places online? Our preference is for quality, not quantity. You’re free to use those other places although our forum is exclusively for the serious, encouraging insightful discussion without the negativity of platforms like twitter. Will there be live trades to follow inside the forums? It’s unlikely that there will be ‘follow me in’ style trades in the community, although we encourage members to highlight points of interest inside the daily markets. Disproportionate gambles, bias and sudden changes may be posted from time to time. Is the community restricted to UK sporting events? No – whatever you trade, you’re welcome to discuss it with other members. 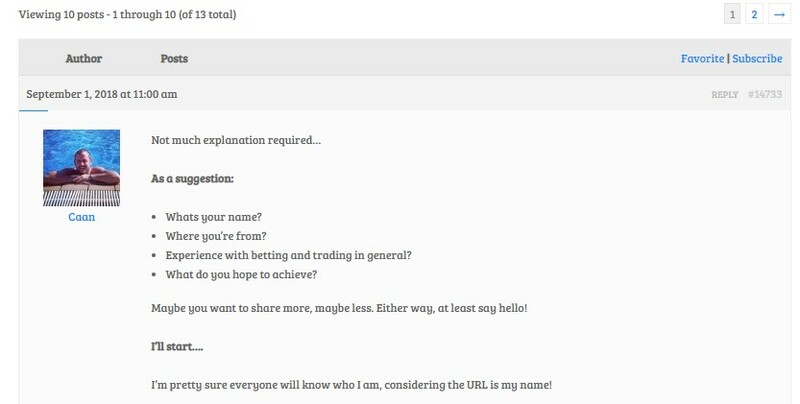 We would respectful ask that all Betfair traders post on the forum in English though. All products are of value at their current listing price. With this addition, the video pack is even value. Cheers! We do try to make everything the best it can be. great stuff. 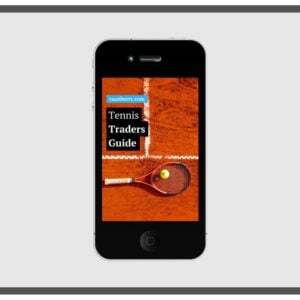 just recently brought the tennis guide the horse guide and your video course. not started properly yet but am looking forward to becoming a serious trader. Do i qualify for the forum?